You may have seen those startling aeriel photographs in the New York Times of new California housing tracts with emerald-green lawns edged up against swaths of dry desert. The governor’s drought order will change that picture. It's just not exactly clear how. One of the less talked-about new rules in his 31-point drought plan will ban watering outside newly constructed homes and buildings – unless it’s with recycled water, or using drip or microspray systems. “The landscaping definitely will change in terms of its look," says Mike Prandini, of the Building Industry Association of Fresno and Madera Counties, "which means grass, because grass takes an awful lot of water to keep it alive, to keep it green." He says many builders are already putting in drought-efficient plants, sometimes astroturf. “We think those are responsible approaches and are pleased to see that the Governor’s not calling for any kind of a moratorium on new building,” says former State Sen. Dave Codgill. He’s now president of the California Building Industry Association, which issued a recent report showing that new homes, with required low-flow showers and toilets, use about half the water compared to homes built before 1980. While strides have been made inside, the landscaping requirements in the governor's executive order are aimed at outdoor watering, which amounts to 44 percent of total urban water use. Developers still have a lot of questions about what exactly the new rules will look like. Does “new construction” mean homes that are currently being built, or developments that have yet to break ground? What about common spaces in developments, like parks? Can you hand-water grass or use alternative grasses that are less thirsty than conventional turf? They’re hoping for some answers by mid-April when the State Water Resources Control Board is expected to release more details for public comment. Anti-sprawl crusaders say this may be a good wake-up call for developers to mind their water footprints. “It’s sort of a learning moment for all of us,” says Kathryn Phillips, director of Sierra Club California. “More and more people want to move away from having to spend weekends mowing lawns. I think this actually opens an opportunity for housing developers to shift away from the old 'tried and true' and move to things that are less water intensive, and less labor intensive, from the homeowners’ perspective." The new rules are not likely to be the death knell for lawns entirely. 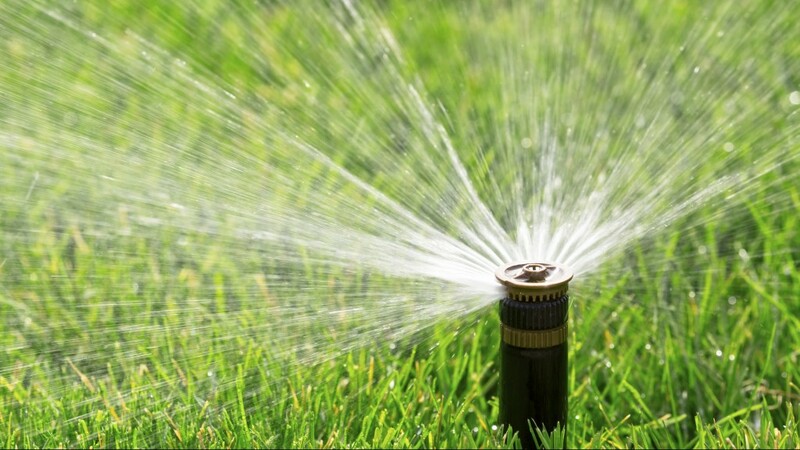 Some emerging technologies allow you to water grass with drip irrigation, by burying the drip line underneath the sod.